The past week has seen meetings held in Totnes, Widecombe and Newton Abbot. Generally the proposed model of care received support although there was scepticism as to whether it could be delivered, due to concerns over social care, shortages of staff, volunteers and funding. Many issues raised reflected those discussed at previous consultation meetings such as NHS funding; rural pressures; transport; end of life care; availability of care home beds, their quality and cost; mental health; and concern whether the consultation was genuine and that irrespective of public views, the proposals would be implemented. Public meetings resume in November but CCG and Trust staff will be attending meetings in the coming weeks organised by community and other groups. If you are part of a community group that wants to have a discussion on the consultation issues but have not yet agreed a date with us, please get in touch via the contact details at the end of this briefing. In addition to the information on our website, an easy read version of the consultation document and questionnaire is available. We are grateful to local charity Devon Link Up for its support in producing this version, which is being distributed to appropriate groups. Questions have been raised as to whether mental health is given sufficient focus in the consultation. The care model consultation proposals recognise the need for high quality physical and mental health services and our aspiration as commissioners and providers of services is to ensure that all needs are met in a much more joined up way. We recognise however that insufficient focus has been given in the past to people with mental health conditions, resulting in difficulties in them accessing the support they needed. In recent years the impact on their general health and wellbeing has been recognised and there has been much closer working between mental health services and the voluntary sector as well as closer contact with GPs, hospitals and community services. The new care model seeks to build on this progress through greater focus on prevention and early support, encouraging people to look after their own mental wellbeing, as part of developing a healthier community. As indicated in the consultation document, our aim is to ensure that mental health workers will be part of our local community based health and wellbeing teams. The health and wellbeing centres will provide a base where many professionals and organisations can work together around patient needs. The care model also strengthens dementia services. Early action is recognised as essential if we are to tackle issues such as self-harm. 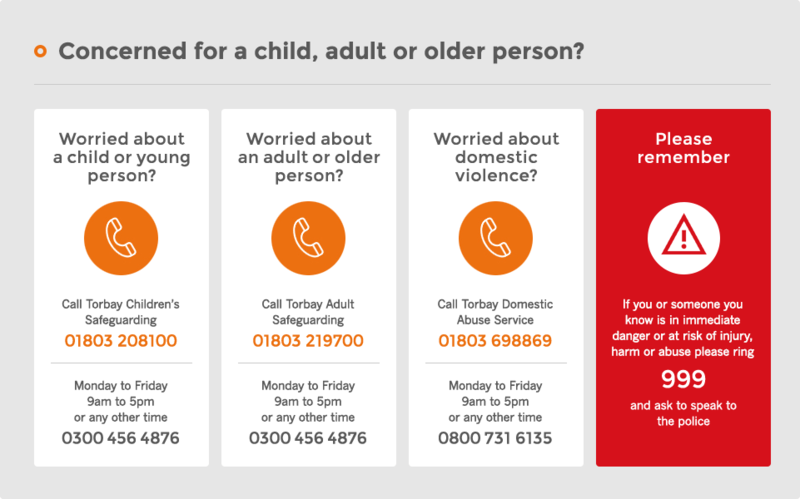 We have commissioned the Dartington Social Research Unit to look at what steps we can be taking now with children to prevent such problems in teenage and adult years. We also work closely with Devon Partnership Trust, which is investing in primary care mental health practitioners as part of delivering community based support while ensuring that specialist beds are available. Concern has been raised that staff, working in hospitals which could close if the consultation proposals are approved, have been told to look for other jobs. Both the CCG and the Trust recognise that a consultation such as this creates uncertainty and concern among staff and regular briefings have been given to them to help ease anxieties. The Trust has given an assurance that there will be no compulsory redundancies but all staff across the organisation have a right to apply for vacancies which arise and it would be inappropriate of the Trust to prevent them from doing so. Staff have not been told to look for other jobs but the Trust has been exploring with them the opportunities that may be available. At each meeting, the CCG is challenged as to whether the proposals are “a done deal”. They aren’t. The CCG would not have organised and attended 17 public meetings, provided a vast amount of information and responded to invitations to attend other events if it didn’t want to hear people’s views on the consultation proposals and to listen to alternative suggestions. It would not be spending so much time and effort if there was no purpose to the discussions, nor would it be wasting the time of those who are engaging in the consultation process. The CCG believes that the option it has put forward is the only one that meets clinical needs within the financial resources available and in a way that will meet the increasing demand that lies ahead. But it will consider all alternative suggestions as indicated in last week’s briefing and no decision will be made until January/February. • Calling 01803 652511office hours (voicemail messaging overnight/weekends).